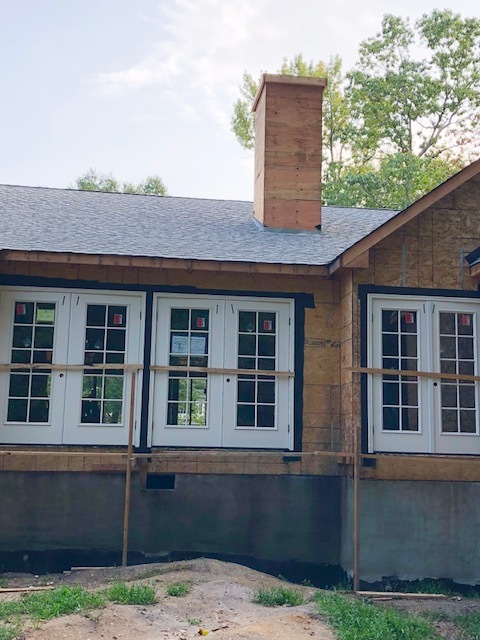 So, Weeping Willow Home is coming along and we are just about done with the framing, just waiting on some structural answers that the architect and contractor are working out. If you’re just stopping by for the first time check out my page on our new home journey. I would say within the next two weeks our windows and siding will be going up. We just had our roof done this past week and that’s definitely kept the rain out! I had no idea that in this process I would see the exterior done before the interior. 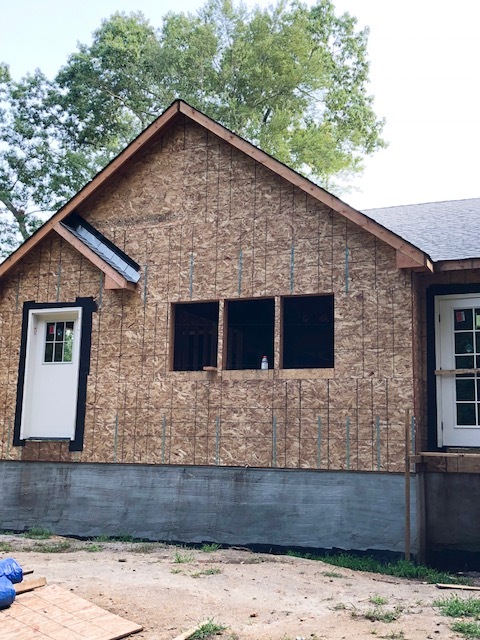 It’s definitely so exciting since the outside will soon look like a home. I want to share some updated photos of what the exterior looks like currently and some inspiration photos of what I have decided to add to our home. It wasn’t easy because like everything…I have a lot of looks that I love. Initially I thought maybe white house black windows to keep the house more modern farmhouse, but as the months have gone by I decided I wanted something a little more classic, softer, and vintage. White siding is always my favorite so WHITE is a must! 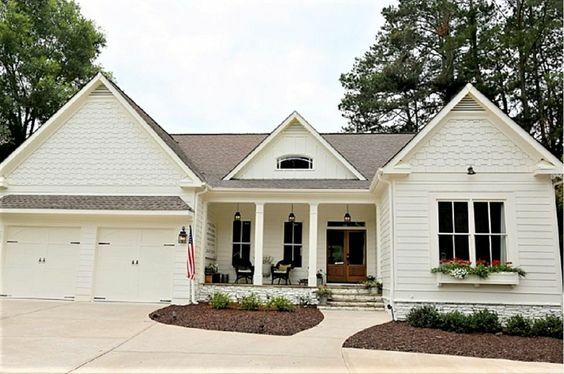 I just truly love a white house and though there are plenty of styles that catch my eye I wanted our house to really stand out especially since we are in a rural area with tons of trees. 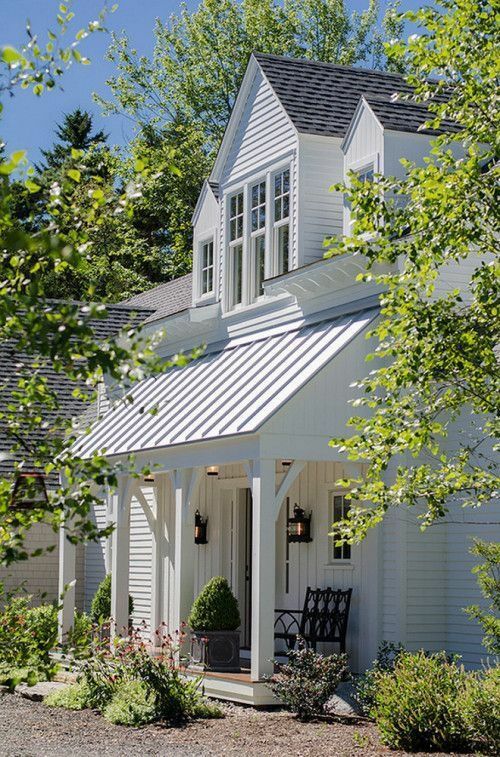 I felt white would make the house look larger and to me a dreamy white farmhouse will always be my favorite. Here are some current photos of the house before it’s all covered in it’s pretty white siding and Farmhouse windows and tin roof. We just had our doors installed in the back of the house this week, that certainly made it feel like a real home. This is the laundry room door and kitchen windows. We plan to add a doggy door here eventually. Did I say tin roof? 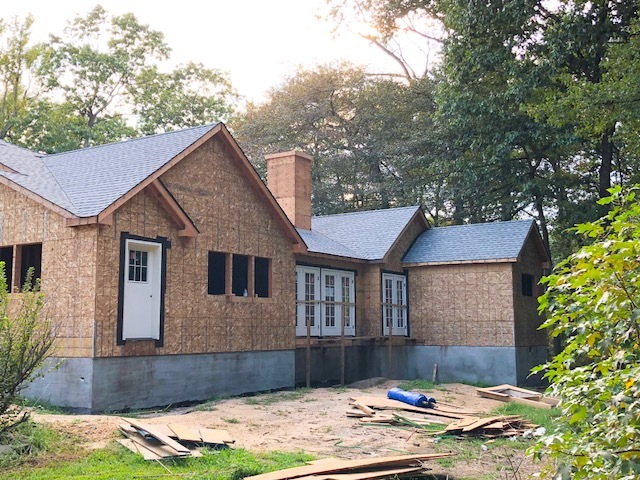 Yep, though we will not have entirely covered roof in tin we do plan to have the porch portion of the roof in tin and the overhang above the garage. I’ve been between a few finishes but I think we have decided to go forward with a pre-weathered galvanized finish though gray and copper have been two other looks I’ve tossed around too. I think since the front of the house is pretty simple copper would have been too bold for the simple lines and small frame, but copper will show up somewhere else on the exterior. 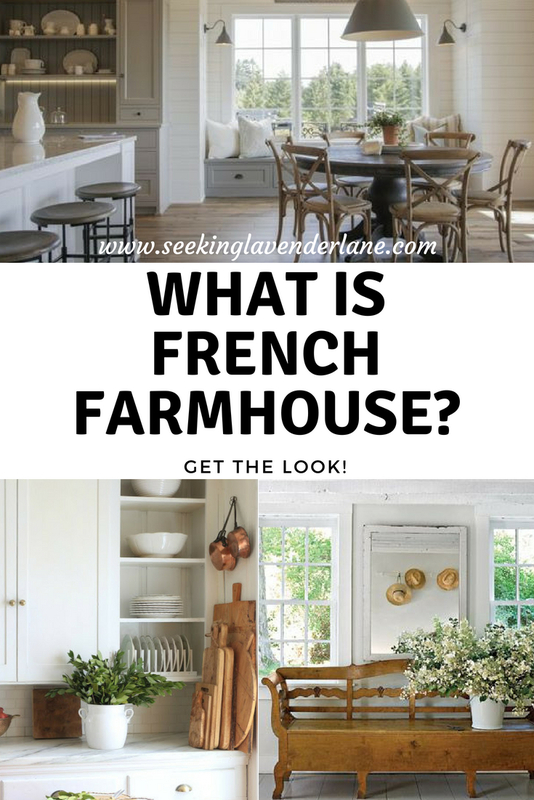 I plan to select the lighting in copper to bring out the “french farmhouse” look to the exterior. One of the other details I planned to add is a white board and batten. I just did not want a house all in one dimension and though the house will be all one color having the board and batten will bring a European feel and create more drama to the look. I know my Contractor mentioned this being an “upgrade”, but it’s something I envision for our home that will truly set it apart. I’ll share an updated post when the exterior is finished, for now we anxiously await our farmhouse build to become a home. 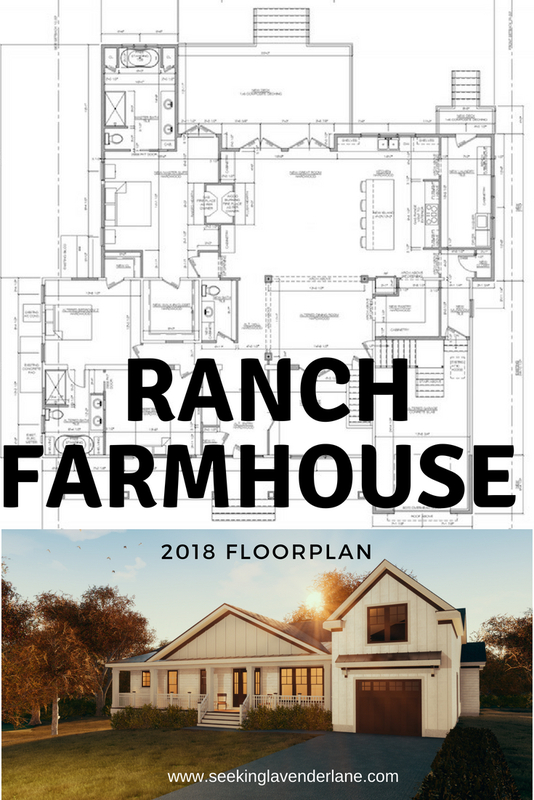 I have a lot of planning left and making decisions like on the stone for the front porch, bathroom tiles, light fixtures, garage doors, and so much more. Oh wow, it is really coming along. I love your exterior, it looks so pretty. 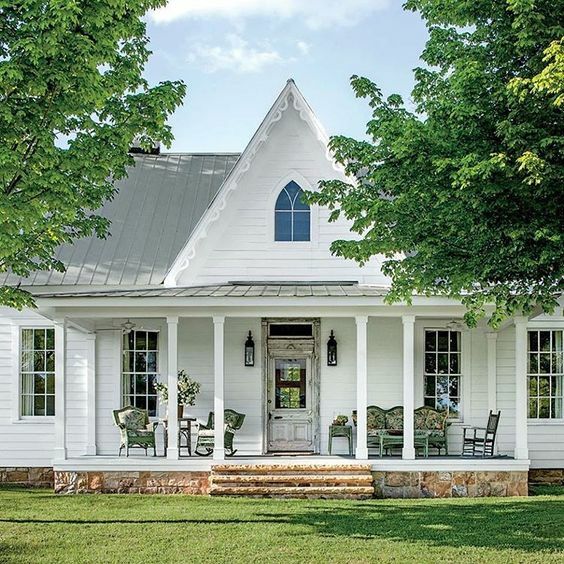 Great farmhouse style and architectural details. I love that you show us regular updates of the house! Can’t wait to see more! My dad was a builder/contractor so I got to see lots of homes in progress. Yours is beautiful. I love that you’re using tin roofing. My son recently inherited his great-granddad’s farm. He plans to eventually roof all the buildings in metal. I think it will be beautiful. May take a while though! 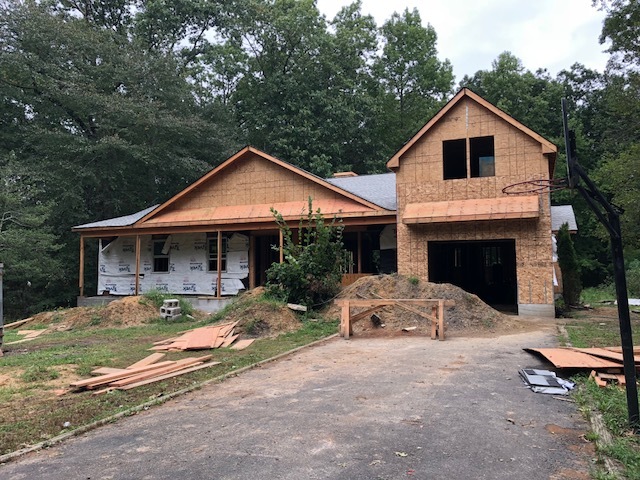 Love seeing the progress on your lovely home.